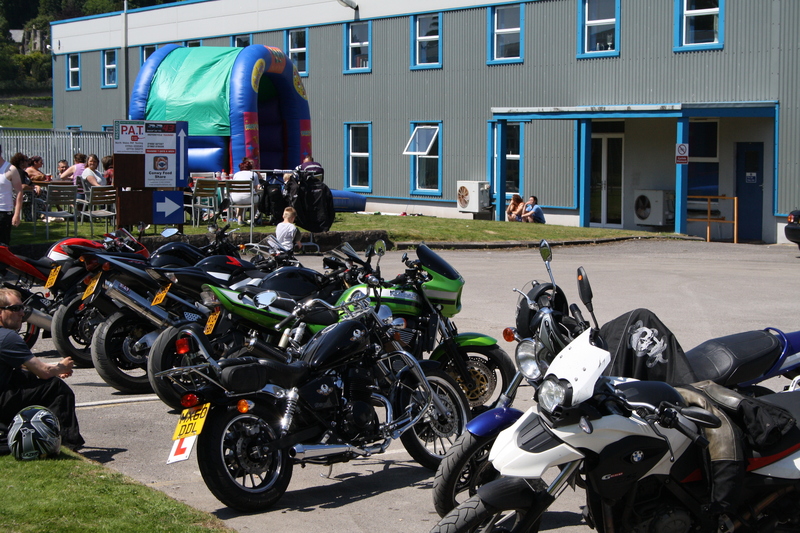 The DR43 Motorcycle Training Open Day was a fantastic success, the event was held on Sunday 09th June in the front carpark at Quinton Hazell Enterprise Parc. Free test rides were provided by Dave Rollit and Colwyn Bay Motorcycles brought down a selection of bikes for sale. 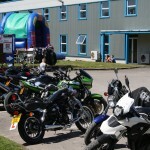 The event was well supported and with the free BBQ and bouncy castle it was a good family occasion. 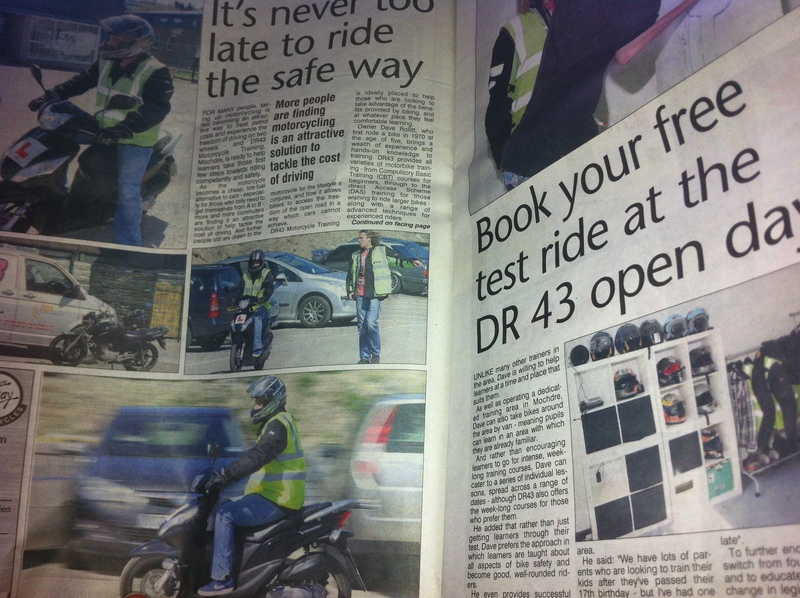 The Fun Day was promoted in the North Wales Pioneer using a double page Advertising Feature. 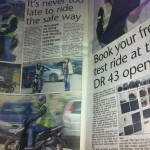 DR43 Motorcycle Training is ideally placed to help those who are looking to take advantage of the benefits provided by biking, and at whatever pace they feel comfortable learning.